Found 3 file extension associations related to IFwin and 3 file formats developed specifically for use with IFwin. 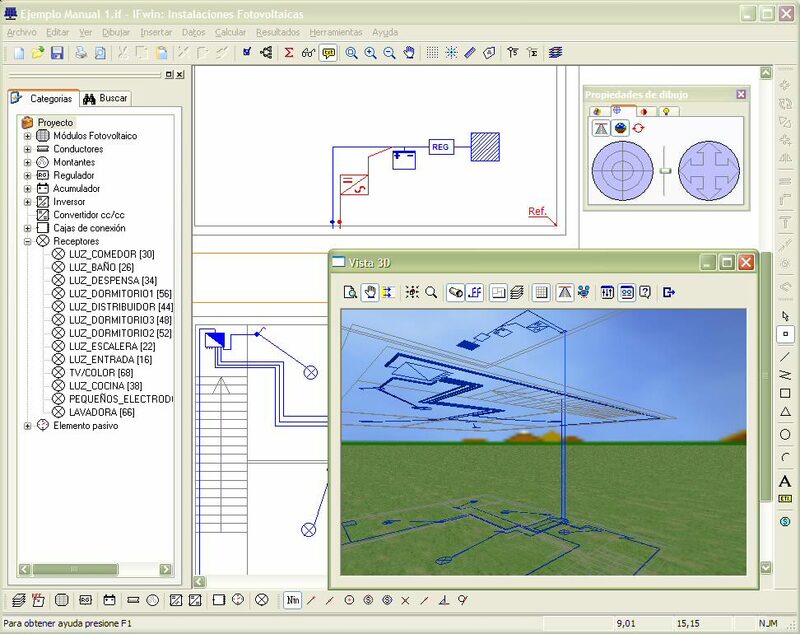 IF-Win is a Spanish photovoltaic CAD design software. Basic module of photovoltaic installations, which can calculate all kinds of photovoltaic branched not connected to the grid. Through a comprehensive graphical interface, it is possible to design the facility directly on floor (importing a DXF / DWG), or through a schematic drawing. To do so, it has a powerful symbols library customizable by the user. The calculation process dimensioned sections of the drivers, need and number of batteries and photovoltaic panels, calculating intensity and further falls in tension at each point in the network. The IFwin software seems to be old or discontinued. If you need more information please contact the developers of IFwin (Procedimientos-Uno, S.L. ), or check out their product website.